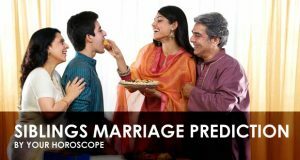 Usually people asks how to match horoscopes for marriage & good married life. The answer is love. This post will tell you how to match the horoscope perfectly. Love means emotions, feeling and attachment with each other. The unknown attraction to someone is also love. Feeling comes from Venus and Moon. They are ruling planet of love and emotions. If they are healthy in horoscope, you will fall in love. If they are not good, you will be away from these things. The more powerful Venus bless the person with more love in his heart. The weak Venus result as no fire for love. Weaker the Venus in horoscope the person will not have any interest in love. On the other hand if Moon is weak you will not have emotions in your heart. You cannot feel what your partner wants. Moon gives intuition, the ability to read minds. If powerful Moon bless the person with a lot of space in his heart and feelings that always need someone. Moon gives ability to be a caring nature person. If Moon is week in horoscope you will have love but not ability to express and you will become a one sided lover. The given horoscope is a person who have left her wife at the stage that they are now helpless. I believe the person have no emotions and the cause of her mental state is Moon only. Moon is weak because it is Combust by Sun, Rahu and Saturn are exist with Moon. The same problem is with his Venus. He actually dont have love in his heart. I never suggest anyone to marry with the person like this. If there is no money, things will be fine. If there is no home, the person could live in rented house. If there is no baby, someone can adopt a baby child. But if there is no love between two persons, married life could not go further. That is the reason youth believe how could they marry with the person they don’t know. While horoscope matching I always look if there is problem in Venus or Moon. This is the first thing which should be checked twice. The other things rely upon your fate. If you are Manglik that is your fate. If your horoscopes are not matching or less points comes after Gun Milan, that is your fate. But if you have love for your partner, you will be able to face and fight against your bad luck. The most important thing is love which is essential in matchmaking. 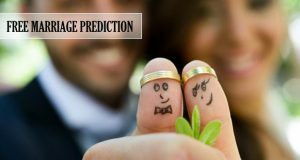 Astrologer can tell you if there are any chances of divorce in horoscope. 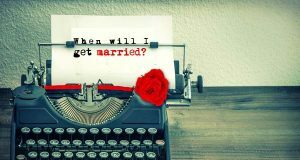 There are numerous planetary positions which causes remarriage or divorce. I am going to explain couple of very harmful planet conjunctions. If the lord of 7th house is sitting with Rahu, Mercury and Sun the chances of separation will be high. Sun, Mercury and Rahu are separative planets. They only do the arrangements so you meet and later separate. If the lord of 7th house is exist in 2nd house of horoscope this always end to a break-up. 8th house considered for death in horoscope. 7th house is of life partner. If we count 8 from 7th house this becomes 2nd house. Logically this is death of 7th (Life partner) house. If 7th house lord is in 2nd house it means the native’s partner would have life loss. If Jupiter’s aspect exist on 7th or 2nd house, this is solution for this harmful yoga. The Jupiter is only planet who saves the person’s life or married life. 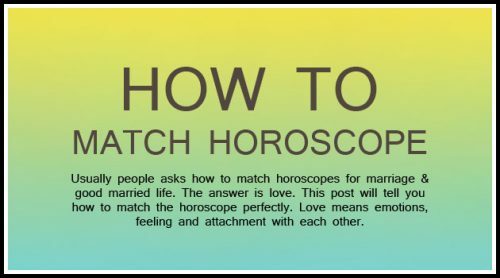 If Bhakoot and Nadi both does not match we check the Nakshatra and Zodiac sign lords. If they are same this is the solution for Nadi and Bhakoot doshas but if there is no solution for Nadi and Bhakoot as a result separation is possible. The situation becomes more critical if Rahu’s aspect is there on 7th house or 7th house lord. The trouble is no one want to get a blame so astrologers hardly match horoscopes. If they found any issue they just say no, they could even tell some solutions already exists but they don’t have time to analyze in that much details. In most cases the Nadi Dosha solution exists as same sign of moon or nakshatra, Jupiter’s presence in ascendant or strong Venus, Saturn in 7th house. In fact there are celebrities who have the Nadi Dosha Exist in their horoscope but they are enjoying happy married life. The thing is people think they have Nadi dosha but actually their planets have solution of nadi dosha exist. Same Nadi does not mean this is Nadi Dosha.